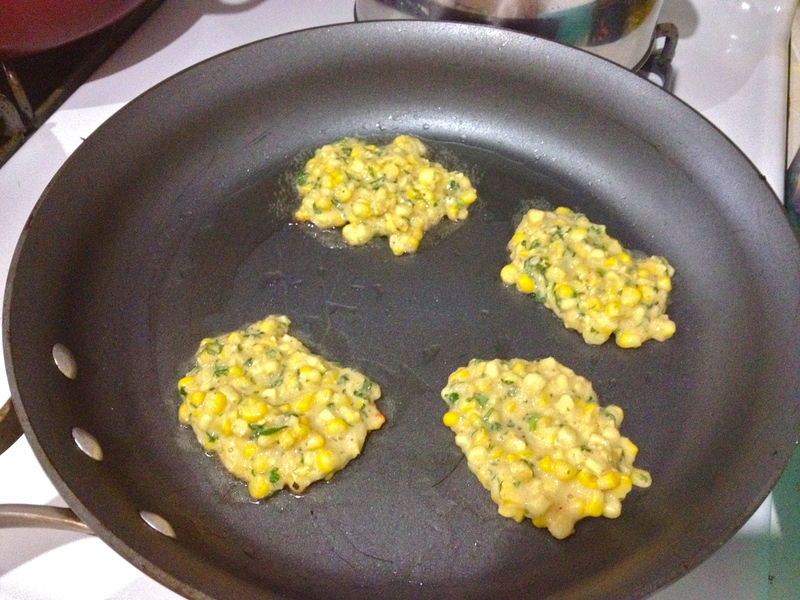 The Midwestern US is known for our amazing summer sweet corn. Every year my family and I look forward to corn’s seasonal grocery store debut, and anytime we’re driving around rural Illinois and Iowa in the summer, we can’t help but stop at the roadside sweet corn stands to pick up an ear or twenty. Despite the awful drought we’ve had here this summer, my local farmers market had a lot of sweet corn this weekend, and for cheap too! I bought a bag and took it home to make yummy things. Here is one of them! 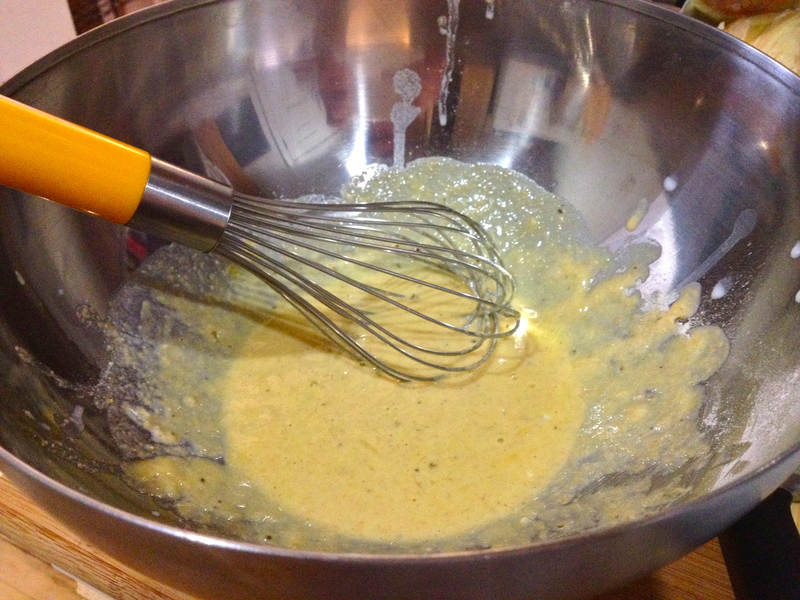 Whisk together flour, egg, milk or cream, oil, baking powder, and salt and pepper. 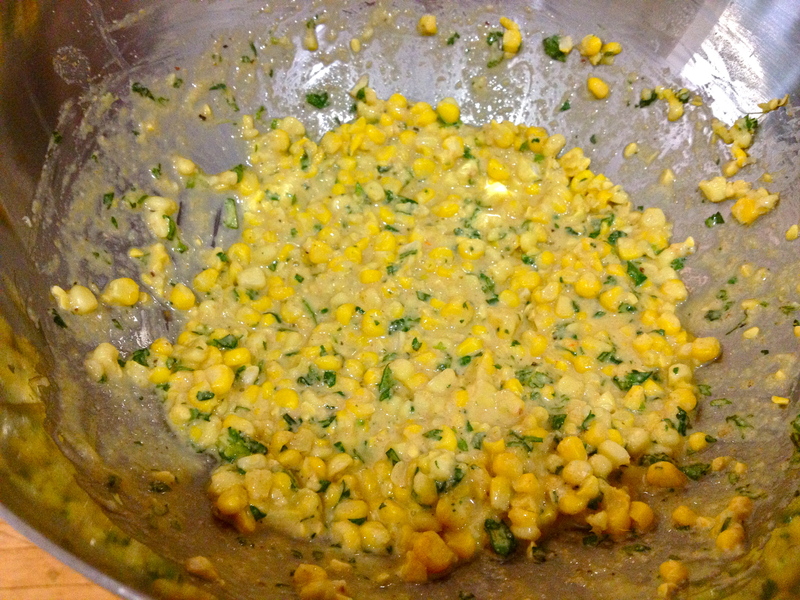 Add cilantro and corn and stir to combine. Heat a pan over medium and add a splash of vegetable oil. Spoon batter into pan and cook until the bottoms are golden brown. 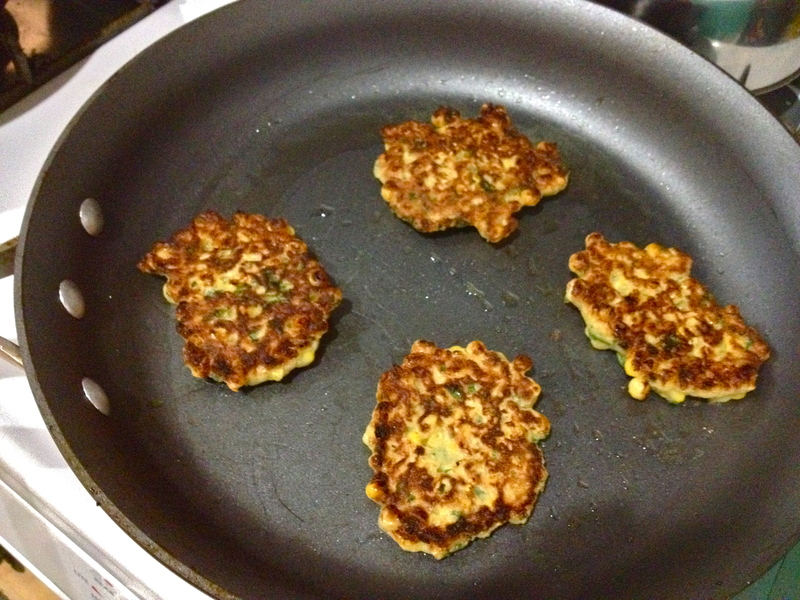 Flip and fry until the other side is browned and the middles are cooked through. 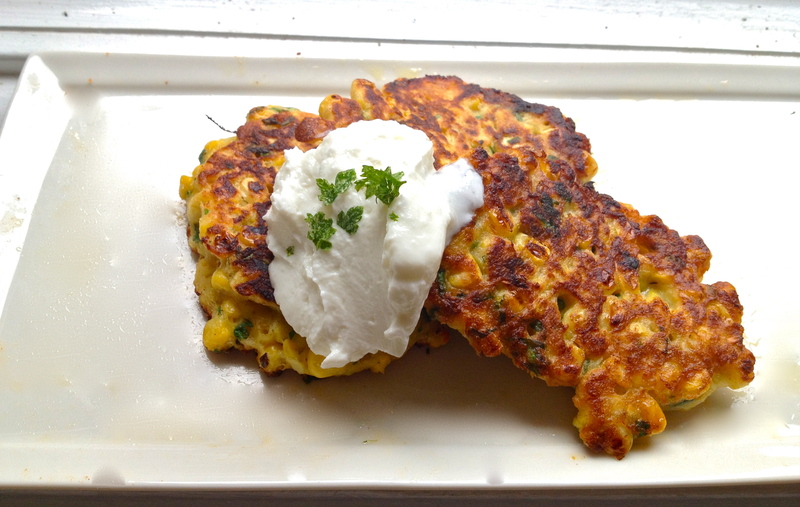 Garnish with Greek yogurt and more cilantro and serve immediately. Thank you, farmers of the Midwest!! Previous Hasselback Potatoes with Jalapeño Leek Scrambled Eggs.